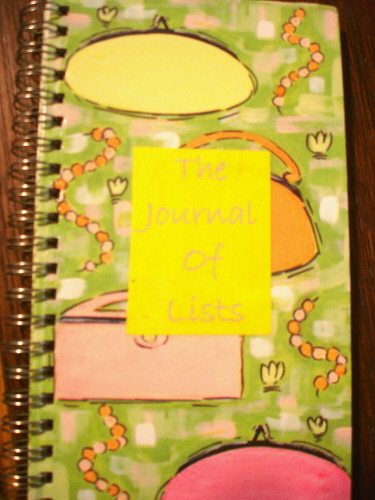 Everyone makes lists. It’s a good way to keep up with what you need to do or remember what’s important. 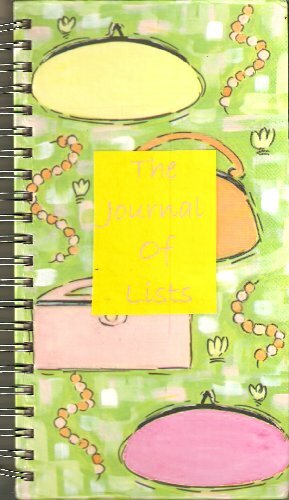 This journal is for you to make your own list – favorite books, the ingredients you need for your favorite recipe, the items you bought for that great party, or even the top ten reasons you don’t like your in-laws (although I really do like my in-laws!!) You can use words, pictures or any medium you’d like. Please don’t alter someone else’s list!Much work and love goes into creating new journals – it’s so sad when one goes missing or is kept by someone other than the creator. Please pass the journals along!! When full, please return to jfit, Jenny Stafford.